New Server Nostalgia Opens on 1.08 - Many more opportunities to gain CPs and get rich in the new server! Contact CP Merchant to Make CP Trades! We have a CP Merchant who can offer special discount for CP trades, you can contact the CP Merchant on FaceBook. Click here to go to his FaceBook page and talk about the details with him. All the ways to win CPs in one map! We add 10000 CPs Demon Box (Tai Chi Demon Box), 19th Floor of Fiend Lair and 1000 CPs One-armed Bandit in the new server. And the Demon Boxes will be on sale permanently. And Wheel of Fortune, Lottery, One-armed Bandit, Demon Box and Roulette will be put together in a new map. Players can enjoy all the ways to win CPs here! CPs, Garments, Stones, Chi Points and Star Stones all in Wheel of Fortune. You can pay CPs to spin wheels to try your luck at Bliss Officer, there are 5 kinds of wheels you can choose. Check out the details below. Reward adjustments to match new server features. To match the new server features, we make some adjustments on P7 Dragon Souls, Rebirth Dragon Ball reward and CP reward in PK Tournaments. The P7 Dragon Souls you can get in the new server will be bound. The Dragon Ball reward players can get after completing rebirth quest will be bound. And the CPs players can win in all the PK Tournaments will be bound, but the amount of bound CPs will be 3 times of unbound CPs. And players will not be able to take part in Capture the Flag in Anima_EU server. What's more, server transfer will not be available in this server. Only in new server Anima_EU. You can exchange for up to 100,000 CPs(B) with CP Exchange Envoy. And you can also exchange silver for CPs (B) this time. You can purchase various +4 and +6 equipments with CP or Silver at Bound Equipment Dealer, check out the details below. Description: Open it to get a +4 L62 Super 1-Soc 3% Archer Hat(B). Description: For Dragon Warrior. Open it to get a +4 L67 Super 1-Soc 3% Breeze Hood (B). Description: Open it to get a +4 L13 Super 1-Soc 3% Odd dagger (B). Description: Open it to get a +4 L20 3% Lover Forever Female (B). Description: Open it to get a +4 L20 3% Lover Forever Male (B). Description: Open it to get a +4 L13 Super 1-Soc 3% Heavy Ring (B). Description: Open it to get a +6 L70 Super 2-Soc 5% Ring(B). Description: Open it to get a +6 L67 Super 2-Soc 5% Necklace(B). Description: Open it to get +6 L70 Super 2-Soc 5% Boots(B). Description: Open it to get a +6 L67 Super 2-Soc 5% Earring(B). Description: Open it to get a +6 L67 Super 2-Soc 5% Bag(B). Description: Open it to get a +6 L65 Super 2-Soc 5% Bracelet(B). Description: Open it to get a +6 L100 Super 2-Soc 1% Star Tower(B). Description: Open it to get a +6 L100 Super 2-Soc 1% Heaven Fan(B). Description: Open it to get a +6 L30 Super 1% Riding Crop(B). Description: Open it to get a +6 L70 Super 2-Soc 5% Poisoned Blade(B). Description: Open it to get a +6 L70 Super 2-Soc 5% Knife(B). Description: Open it to get a +6 L70 Super 2-Soc 5% Scythe(B). Description: Open it to get a +6 L70 Super 2-Soc 5% Wand(B). Description: Open it to get a +6 L70 Super 2-Soc 5% Spear(B). Description: Open it to get a +6 L70 Super 2-Soc 5% Blade(B). Description: Open it to get a +6 L70 Super 2-Soc 5% Sword(B). Description: Open it to get a +6 L70 Super 2-Soc 5% Club(B). Description: Open it to get a +6 L70 Super 2-Soc 5% Shield(B). Description: Open it to get a +6 L70 Super 2-Soc 5% Backsword(B). Description: Open it to get a +6 L70 Super 2-Soc 5% Bow(B). Description: Open it to get a +6 L70 Super 2-Soc 5% Katana(B). Description: Open it to get +6 L70 Super 2-Soc 5% Beads(B). Description: Open it to get a +6 L70 Super 2-Soc 5% Rapier(B). Description: Open it to get a +6 L70 Super 2-Soc 5% Pistol(B). Description: Open it to get a +6 L67 Super 2-Soc 5% Warrior Helmet(B). Description: Open it to get a +6 L67 Super 2-Soc 5% Trojan Coronet(B). Description: Open it to get a +6 L70 Super 2-Soc 5% Taoist Cap(B). Description: Open it to get a +6 L62 Super 2-Soc 5% Archer Plume(B). Description: Open it to get a +6 L67 Super 2-Soc 5% Ninja Hood(B). Description: Open it to get a +6 L67 Super 2-Soc 5% Monk Headband(B). Description: Open it to get a +6 L67 Super 2-Soc 5% Pirate Hood(B). Description: Open it to get a +6 L70 Super 2-Soc 5% Warrior Armor(B). Description: Open it to get a +6 L70 Super 2-Soc 5% Trojan Armor(B). Description: Open it to get a +6 L70 Super 2-Soc 5% Taoist Robe(B). Description: Open it to get a +6 L67 Super 2-Soc 5% Archer Coat(B). Description: Open it to get a +6 L70 Super 2-Soc 5% Ninja Vest(B). Description: Open it to get a +6 L70 Super 2-Soc 5% Monk Robe(B). Description: Open it to get a +6 L70 Super 2-Soc 5% Pirate Coat(B). Description: Open it to get a +6 L70 Super 2-Soc 5% Heart Nunchaku. Description: Open it to get a +6 L70 Super 2-Soc 5% Combat Suit(B). Description: For Dragon Warrior. Open it to get a +6 L70 Super 2-Soc 5% Breeze Hood (B). Description: Open it to get a +6 L15 super 2-Soc 5% Dark Cloud Hat(B). Description: Open it to get a +6 L15 Super 2-Soc 5% Mystic Windrobe(B). Description: Open it to get a +6 L15 Super 2-Soc 5% Pride Fan(B). Description: Open it to get a +6 L15 Super 2-Soc 5% Sky Flame(B). Description: Open it to get a +6 L15 Super 2-Soc 5% Odd dagger (B). Description: Open it to get a +6 L20 5% Lover Forever Female (B). Description: Open it to get a +6 L20 5% Lover Forever Male (B). Description: Open it to get a +6 L15 Super 2-Soc 5% Heavy Ring (B). Extra Rewards Only in New Server! Day 1-7 following new server launch: You can complete quests to win extra rewards for leveling. During Upgrading Fun, you can complete the following quests to win extra rewards. Evil Labyrinth Get extra 20 Free Training Pills, 10 Super Protection Pills, and 1 Fresh EXP Box upon completion of Evil Labyrinth. Dis City Get extra 30 Free Training Pills, 15 Super Protection Pills and 1 Fresh EXP Box upon completion of Dis City at any difficulty level. Battlefield Heroes Get extra 30 Free Training Pills and 15 Super Protection Pills upon completion of Battlefield Heroes. Horse Racing Horse Racing Point reward increases tenfold during the event. Reward - Activeness Get extra 500 Chi Points from the Divine Active Pack. Arena The Arena EXP Pack gives better reward: 30 minutes of EXP and 20 Study Points. Treasure in the Blue Limited quantity of Olive Jades and Free Training Pills will be available for exchange. Bright Fortune Your 5th open of the Treasure of Dragon every day brings extra 1 New Server Stone Pack and 1 Fresh EXP Box. During the event, you can win abundant EXP rewards by completing zone quests. Wind Plain Box Complete Zone Quests in Wind Plain 1 Fresh EXP Box, 300-min EXP, 100 Study Points and 3-day Heaven Blessing. Maple Forest Box Complete Zone Quests in Maple Forest 1 Fresh EXP Box, 600-min EXP, 200 Study Points and 6-day Heaven Blessing. Love Canyon Box Complete Zone Quests in Love Canyon 1 Fresh EXP Box, 900-min EXP, 300 Study Points and 9-day Heaven Blessing. Lonely Desert Box Complete Zone Quests in Desert 1 Fresh EXP Box, 1200-min EXP, 400 Study Points and 12-day Heaven Blessing. Bird Island Box Complete Zone Quests in Bird Island 1 Fresh EXP Box, 1500-min EXP, 500 Study Points and 15-day Heaven Blessing. Level 80 or above players can sign in at CocoChau to get an Energy Pill. Energy Pill: Get upgraded by 1 level if you`re below Lv.130, or 300-min EXP if above Lv.130. 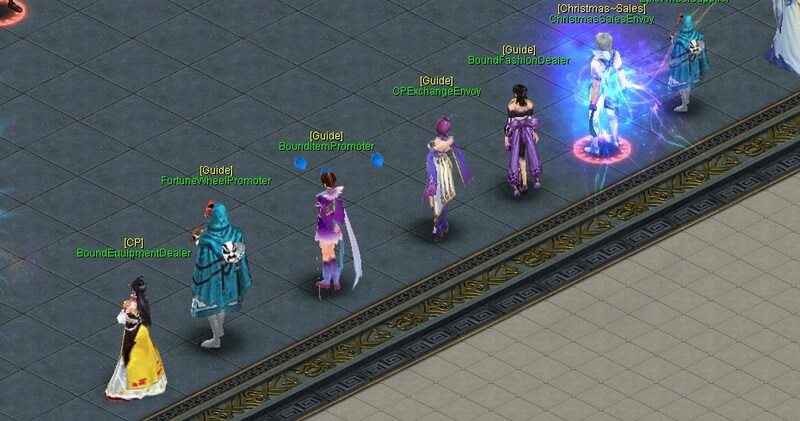 Level 80 or above players can talk to Faye to enter Mystic Zone. Each hero can explore the Mystic Zone 3 times from 08:00 to 23:59 every day, and will be sent out when reaching 100 kills in the area. Go defeat the monsters to earn EXP and Purify Soul rewards! Day 8-14 following new server launch: You can complete quests to win extra rewards for JiangHu training. During JiangHu Boost, you can complete the following quests to win extra rewards for JiangHu. Evil Labyrinth Collecting and using the 4 crystals in the Evil Labyrinth brings extra 5 Favored Training Pills (B) and 5 Super Protection Pills. Dis City Get extra 20 Favored Training Pills (B) and 10 Super Protection Pills upon completion of Dis City at any difficulty level. 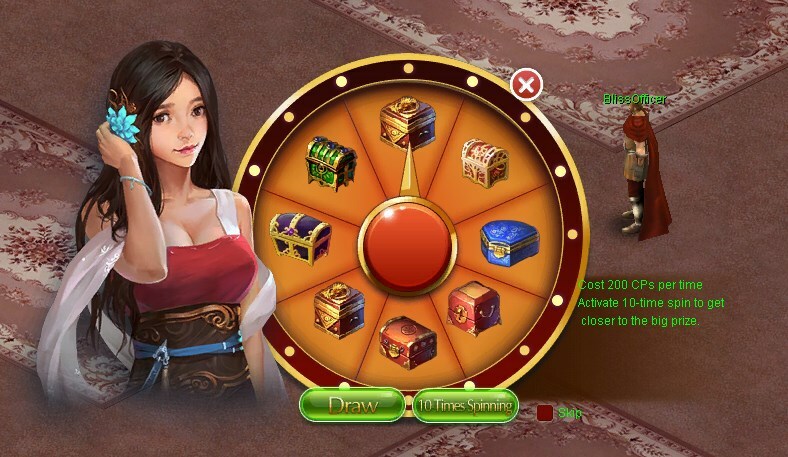 Bright Fortune Your 5th open of the Treasure of Dragon every day brings extra 2 Free Training Pills and 100 Study Points. Level 80 or above players can sign in at CocoChau to get an Energy Pill everyday. Energy Pill: Get upgraded by 1 level if you`re below Lv.130, or 300-min EXP if above Lv.130. Level 80 or above players can talk to Faye to enter Mystic Zone. Each hero can explore the Mystic Zone 3 times from 08:00 to 23:59 every day, and will be sent out when reaching 100 kills in the area. By defeating the monsters, the heroes who haven’t been 2nd reborn can get plenty 2nd rebirth quest items. And 2nd reborn heroes can get lots of JiangHu materials. Day 15-21 following new server launch: You can complete quests to win extra rewards for Chi training. During Blooming Chi, you can complete the following quests to win extra rewards. Evil Labyrinth Collecting and using the 4 crystals in the Evil Labyrinth brings an extra Fresh 400 Chi Pack. Dis City Get an extra Fresh 800 Chi Pack upon completion of Dis City at any difficulty level. Bright Fortune Your 5th open of the Treasure of Dragon every day brings an extra Fresh 400 Chi Pack. Level 80 or above players can sign in at CocoChau to get 500 Chi Points everyday. Level 80 or above players can talk to Faye to enter Mystic Zone. Each hero can explore the Mystic Zone 3 times from 08:00 to 23:59 every day, and will be sent out when reaching 100 kills in the area. By defeating the monsters, the heroes who haven’t been 2nd reborn can get plenty 2nd rebirth quest items. And 2nd reborn heroes can get lots of Chi Points. Day 22-28 following new server launch: You can complete quests to win lots of Star Stones. During Perfection Legend, you can complete the following quests to win Star Stones. Evil Labyrinth Collecting and using the 4 crystals in the Evil Labyrinth brings an extra Bright Star Stone. Dis City Get an extra Bright Star Stone upon completion of Dis City at any difficulty level. Bright Fortune Your 5th open of the Treasure of Dragon every day brings an extra Bright Star Stone. Level 80 or above players can sign in at CocoChau to a Bright Star Stone everyday. Level 80 or above players can talk to Faye to enter Mystic Zone. Each hero can explore the Mystic Zone 3 times from 08:00 to 23:59 every day, and will be sent out when reaching 100 kills in the area. By defeating the monsters, heroes can get a lot of Perfection materials. Novice Quests for players in New Server. The optimized Novice Quests will help novice level up to level 100 easier and faster in the new server. Extra Prizes for Finishing certain quests. During the event time, you can receive extra prizes once you finish the following quests. Dis City 10 Special Training Pills and 5 Protection Pills. Battlefield Heroes 6 times of normal prizes. Horse Racing 10 times of normal prizes. Activeness Pack 500 Chi Points. Qualifier/Team Qualifier 30-minute EXP and 20 Study Points in Arena Pack. 1 Gold Coin: 300-minute EXP, 3 Special Training Pills and 3 Olive Jades. 2 Silver Coins: 200-minute EXP, 2 Special Training Pills and 2 Olive Jades. 3 Copper Coins: 100-minute EXP, a Special Training Pills and an Olive Jade. Zone Quests Complete all the zone quests in Wind Plain: 300-mins EXP, 100 Study Points and 3-day Blessing. Complete all the zone quests in Phoenix Castle: 600-mins EXP, 200 Study Points and 6-day Blessing. 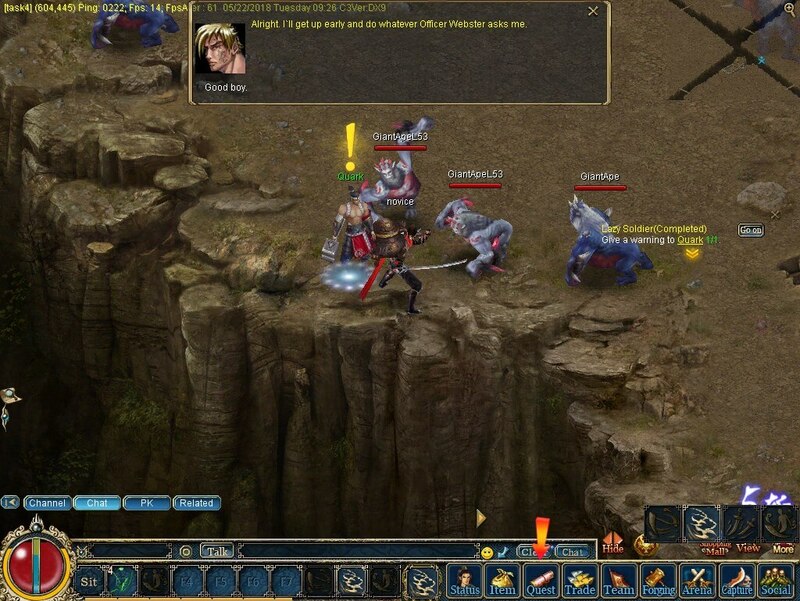 Complete all the zone quests in Ape Mountain: 900-mins EXP, 300 Study Points and 9-day Blessing. 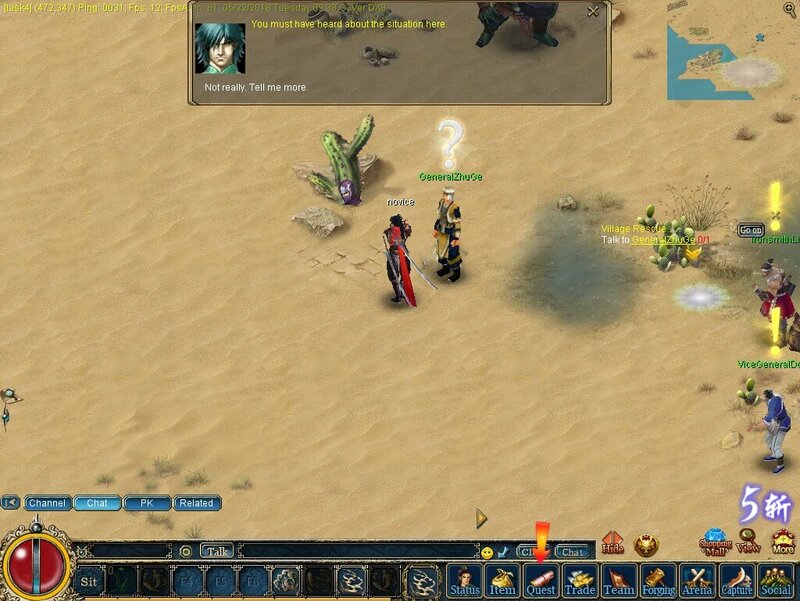 Complete all the zone quests in Desert City: 1200-mins EXP, 400 Study Points and 12-day Blessing. Complete all the zone quests in Bird Island: 1500-mins EXP, 500 Study Points and 15-day Blessing. Equipment Bonus Quests Complete each Equipment Bonus Quest: Choose one from +3 Stone (B), Dragon Ball (B) and 200 Chi Points. Daily Quests Complete each Daily Quest: 100 Study Points, 3 Free Training Pills and 1 Super Protection Pill. And you will get 5 times more EXP and Chi Points by using Chi Token. 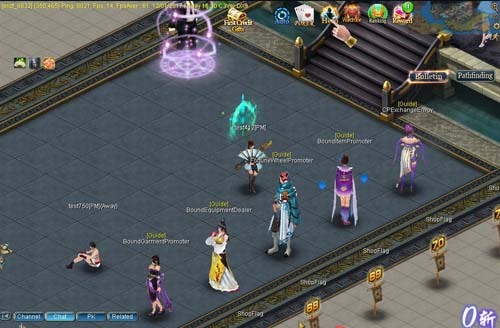 And there is also Rainbow Fashion Deals event from March 12th to April 5th only in new server. Helpful Gears for each Class to Start the Adventure in New Server. There will be fantastic gear pack for each class to start up in new server, the pack will be put in your inventory directly when you login new server for the first time, and it will expire in 30 days. Let's check out the details below.